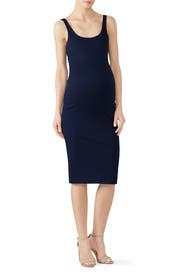 Supersoft and easy to move in, this Amanda Uprichard maternity dress goes from casual to classy occasions. 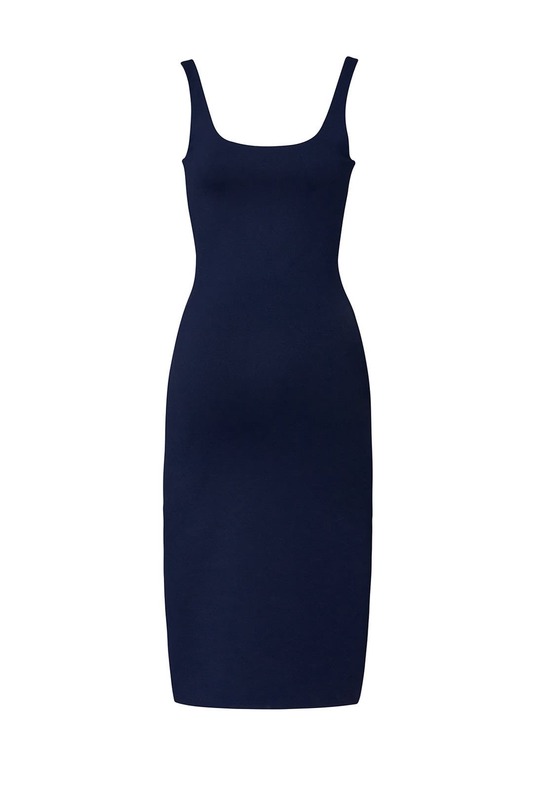 Navy crepe (98% Polyester, 2% Spandex). Sheath. Sleeveless. Scoop neckline. Hidden back zipper with hook-and-eye closure. 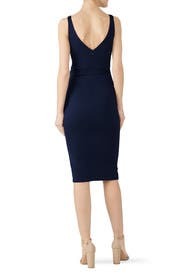 44" from shoulder to hemline. Imported. I rented this dress to wear for an interview, and it would have been perfect with a blazer, but it was WAY too small. There was no stretch in the belly and would not zip. It's a shame, it fit everywhere else. I'm 24 weeks...maybe good for someone who is just barely showing. Seems way too small to be maternity. No shot of getting it on and most maternity is large on me.